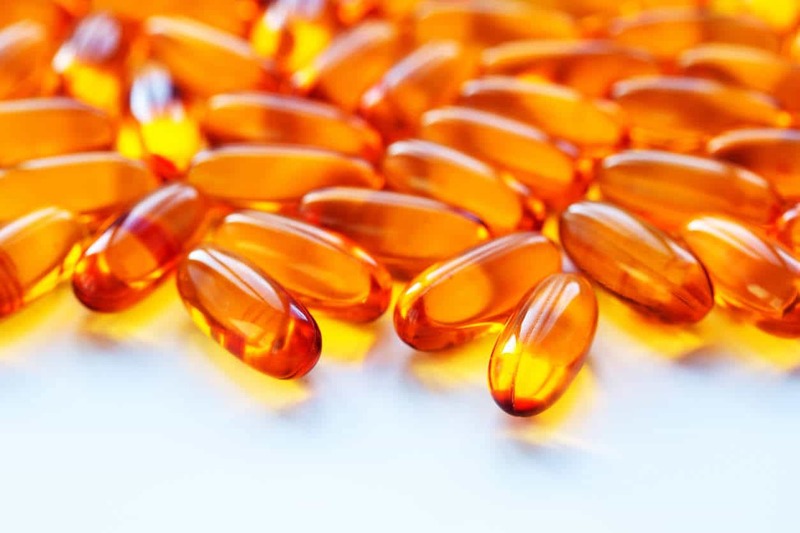 Fish Oil vs. Krill Oil - What's The Difference? Fish Oil vs. Krill Oil, What’s The Difference? Omega 3 fatty acids receive a lot of media attention and rightly so. Fish oil offers many health benefits and these benefits have been attributed to EPA and DHA, two specific types of omega 3s. Since these nutrients were first discovered in the 1950s, an incredible amount of research has been conducted. Pubmed lists 23,466 studies on “omega 3 fatty acids”. Yet it’s only recently that the specific actions of EPA and DHA, individually, have been understood! EPA and DHA are long-chain omega 3 fatty acids. They’re also essential, meaning we don’t make them on our own and need to get them through diet or supplementation. But fish oil is not the only source of EPA and DHA, krill oil is also emerging as an alternative omega 3 supplement. One comes from shellfish. And the other comes from, well, just fish. But the difference can be critical to your health. Let’s check out the benefits of fish oil vs. krill oil. A lot of folks ask whether krill oil is healthier or better absorbed in the body than regular fish oil. Fair questions. And while both are good for us, one is clearly better. Please read on, as we’ll share the surprising benefits of fish oil vs. krill oil and how to get more of the better one in a way that you’ll love! They also contain the omega 3 fatty acids EPA and DHA, so it’s worth considering for your diet. Krill oil is said to have slightly better bioavailability than triglyceride (in its natural form) fish oil, but significantly greater bioavailability than ethyl ester (synthetic form) fish oil.³ However, none of the studies show significant differences in the effects of krill oil vs. fish oil. Krill oil does contain astaxanthin so it’s a slight win, although only a tiny bit. In fact, most supplements add algae astaxanthin to their formulation – while some may not even add extra! So what you’re left with is little antioxidant benefit. It’s said that there’s no immediate detrimental effect to harvesting krill en masse. “The certification gives the false impression that the entire fishery for Antarctic krill is sustainable when in reality it is not,” says PEW. Many circles claim krill contains less toxins than fish oil. This could mean heavy metals, PCBs, and mercury. While this is another point of contention from the fish oil side, there is a 2014 study showing Antarctic krill oils had “intermediate” levels of POPs (persistent organic pollutants) compared to their counterparts.⁷ POPs are difficult to break down and have potential impacts on human health and the environment. Fish oil contains both essential omega-3 fatty acids (we shorten their names to EPA and DHA) in greater amounts. And if there’s anything we’ve learned about omega-3 in particular, it’s that it supports both mental and physical health to the extreme! And it’s necessary to have more of these, in clinical doses, than less. Left at room temperature before bottling, fish oil will decompose between 48-72 hours. That number for krill oil? 2-3 hours. That means there’s less time to derive the health benefits from krill oil, all things being equal. This is a “double-whammy”, as the decomposition also has to do with a significantly inferior amount of good fat in krill oil. Fish oil has been studied in-depth for many years (since the 1950s!). There is no shortage of scientific research on it, as a quick look on scientific journal search engines like PubMed will reveal. (27,311 fish oil articles vs. 133 for krill oil as of January 18, 2017!) . From cardiovascular to gut, and from joints to brain, there are only a few ailments fish oil hasn’t been positively associated with beneficially treating! But if you need even more convincing, we’ve pulled the research for the following common conditions to see which is most backed in terms of research, krill oil or fish oil…. Cardiovascular Health: The omega 3 fatty acids EPA and DHA have demonstrated numerous health benefits including lower rates of cardiovascular disease. Chronic Inflammation: EPA and DHA have anti-inflammatory effects and play a role in oxidative stress.⁹ This works to improve cellular function through changes in gene expressions. Maintaining Cognitive Function: Omega 3 fatty acids may play an important role in maintaining cognitive function in aging individuals.11 Omega 3 fatty acids from fish such as EPA and DHA have been shown to be beneficial on inflammation, cell death, and oxidation. Little is still known on the efficacy that krill oil has on brain function. Bone Loss or Osteoporosis: Omega 3s may protect you from osteoporosis, sarcopenia, and obesity. Studies have shown that a higher dietary omega-3 to omega-6 fatty acid ratio is associated with benefits to your bone health (when using omega-3s from fish and fish oils).12 Little is known as to whether the same can be said for krill oil. Skewed Data with Krill Oil Research? Have you ever noticed that research comparing krill oil and fish oil always seem to find krill oil as being superior? It’s important to discuss this, and the fact that the bulk of published krill oil studies do contain skewed results.13,14,15Unfortunately, these studies may be subject to publication bias to see more krill oil supplements. But when we look closer at these studies, we can see the flaws. Sounds good, right? Too bad it wasn’t true. Other comparative studies showed more of the same regarding the quality of the fish oil used. The studies and their researchers would use substandard amounts of fish oil in comparison to krill oil to alter results. It is crucial that future published comparative data comes from unbiased sources using quality fish oil and krill oil supplements. Currently, this isn’t the case. 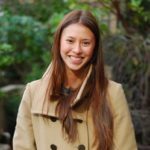 But when it comes to fish oil, which is mentioned above, there are thousands of published research articles showing its benefits, safety, and efficacy. The research on krill oil just isn’t there yet, but hopefully in the future it will be. Then we can really compare the two. If you do decide to supplement with either – how much should you be taking? High triglycerides: 1-15 grams per day for up to 6 months. Or 1.45 to 2.70 grams of EPA and 1.05 to 1.80 grams of DHA per day for two to 12 weeks, has been used. Heart Disease: 0.6 – 10 grams of EPA and/or DHA per day has been taken for one month to 9 years. Attention Deficit Hyperactivity Disorder (ADHD): 250 mg of omega 3 fatty acids with phosphatidylserine has been used per day for 3 months. Bipolar disorder: 6.2 grams of EPA and 3.4 grams of DHA taken per day for 4 months has been used. So as you can see fish oil vs. krill oil dosage isn’t cut and dry. The volumes of scientific research behind it, the sheer amount of powerful omega-3 fatty acids, and its more potent, resilient properties make it a smarter choice. I’ll also award it “bonus points” for its natural history with us humans. We didn’t evolve and supplement our diets with krill. Rather, it was through fish and other meats! Also, fish oil is generally fine to take for those with shellfish allergies, while krill oil is not. However, you should always consult your doctor first before consuming either! Of course, if you’re like most people, the thought of taking fish or krill oil isn’t pleasant. Those cringeworthy pills and- sorry to say it- “fishy burps” aren’t too appetizing. What’s more, it’s hard to say if either will give you the right amount of the crucial fatty acids (DHA and EPA). That’s because you don’t know how stable (old) the oil is in the capsule! So is there a better way to get your omega fatty acids… and enjoy nearly all the advantages of krill oil and fish oil in one simple source? It’s called Triple Power Omega-3 Fish Oil. It has all the benefits of fish oil you read above, PLUS many of the perks of krill oil. For instance, Triple Power has additional natural antioxidants. One is turmeric curcumin— an ancient “healing spice,” associated with treating more ailments than even fish oil itself! From bones to liver and joints to brain- and pretty much anything else you can name- turmeric curcumin has potent healing properties. It also keeps the fish oil fresh! The second antioxidant in Triple Power Omega-3 Fish Oil is the same one in krill oil we discussed: astaxanthin. In a significant 3 mg per serving dose. So imagine the healthy kick you’ll get when you take your Triple Power fish oil with these antioxidants included! “Sure, but it’s still in pill form, right?” Well, I’m happy to say that isn’t correct. That’s our delicious twist on fish oil. Triple Power is actually a naturally mango-flavored emulsion. You can take it right off the spoon. Put it in your smoothie. Heck, even put it on your ice cream. And because it’s an emulsion, it’s even better absorbed than both fish and krill oil “straight up”. In fact, about 300% better absorbed per our records! What’s more, the amount of DHA and EPA fatty acids in Triple Power is greater than nearly anything you’ll find on retail shelves! Many fish oils only contain about 300 mg of combined DHA and EPA per capsule. But Triple Power? Try 1,200 mg! All that vital nutrient on just one tasty tablespoon! To get the same amount of DHA and EPA from your average brand of fish oil, you’d need to choke down 4 pills per day! I don’t know about you, but the choice is easy for me. 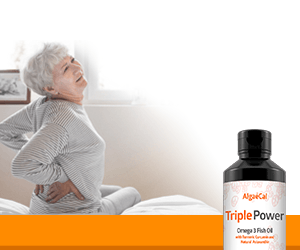 You can read more on what people are saying about Triple Power Omega-3 Fish Oil right here. Take the best of both worlds and get Triple Power. Enjoy it in a delicious mango form sure to please kids, parents… and grandparents! We agree – it would be nice to have Triple Power along our travels! Thanks for your in depth comarison. I have read articles proclaiming the advantages of Krill over fish oil. Your explanation has convicted nced me to cuntinue using Triple Power fish oil. Really glad you enjoyed the article! Within 3 weeks of taking Krill Oil a blood vessel near my eye burst. My surrounding eye tissue was totally black down to my cheek. I looked as if I had been punched in the eye. The White of the eye itself was not affected. I had the eye checked by an hospital eye specialist who agreed with me that Krill oil may have been the cause. Stopped taking it immediately with no further incidents. Thanks for sharing. Sorry to hear about your experience, but glad the eye itself was not affected! 1) How does the turmeric curcumin manage keep the fish oil fresh? 2) Where is your fish oil sourced from…is there farmed fish in there? 3) Where is the astaxanthin sourced from? 1) Turmeric curcumin is a powerful antioxidant and prevents the fish oil from reacting to oxygen. This keeps it fresh because it does not allow it to become rancid. 2) Triple Power is sourced from wild anchovies, sardines, and mackerel from cold water, small fisheries from Peru. So it is not farmed. The fish comes in every day for immediate processing, which means it’s super fresh! 3) Astaxanthin is sourced from microalga and is also a powerful antioxidant. Bonus: turmeric curcumin and astaxanthin are both oil soluble, which means that their absorption improves when taking with fish oil. In turn, they also keep the fish oil fresh so there’s clear synergy between all three of these ingredients in Triple Power. No one ever talks about storage and shelf life. To save money I and many others buy the largest bottles. None seem to be dated. How long does a fish oil or krill oil capsule keep its potency? Same question for Triple Power, how long does it keep its potency? Great point! I can’t speak to what storage and shelf life would be for krill and other fish oils as it depends on the brand, but from a quick search it seems that they last anywhere from 6 to 12 months. Where do the krill and fish come from? Krill oil typically comes from the Antarctic and fish oil can come from different sources, depending on the brand. To be sure, check the label to see where it comes from. Triple Power by AlgaeCal for example, comes from local, small fisheries in the cold pacific waters near Peru so the fish (mackerel, anchovies and sardines) come in fresh every day for immediate processing.